Your HVAC system is probably causing the biggest spikes in your energy bill, especially when it's really hot or really cold outside. Therefore, it makes sense to do what you can to cut down on your energy use. By following these 5 tips, you're taking a step in the right direction. Sunny weather puts people in a good mood, but the sun can also contribute to heating up the interior of your home. 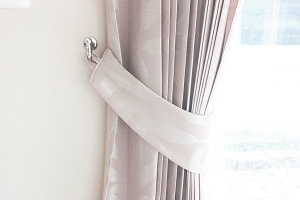 Fortunately, it's easy to limit the sunlight that gets into your rooms by installing heavy-duty curtains or shades. In the winter, you'll want to do the opposite and let the sun warm up your house by opening the drapes. Your home has a lot of little air leaks, most noticeably around your door and window frames. Not plugging these leaks can increase your energy bill more than you think. Fortunately, the solution is simple and inexpensive. Invest in some weatherstripping and re-seal your doors and windows. You can also use caulk to plug any crevices around the frame. If you don't want to waste money on heating and air conditioning, you should program your thermostat to adjust to your needs. There's no need to keep your house at the perfect temperature while you're at work, but the A/C should kick in and get it ready for you about an hour before you're scheduled to get home. Similarly, you should adjust the settings for nighttime and when you're leaving for an extended vacation. Nobody wants to be uncomfortable in their own home, but there's no reason to make your HVAC system work harder than it needs to. During the winter time, it's a good idea to encourage your family to wear pants and sweaters in the house. In the summer, lighter attire is a must. Otherwise, you're spending extra money on heating and cooling rooms that are comfortable to be in as long as you're dressed for the season. Everybody knows that the filter on the air conditioning unit must be changed regularly, preferably once a month. Unfortunately, it's such a simple thing to do that it's easy to forget. Whether you need to coincide filter changes will bill-paying or stick a note on your fridge - changing the filter will keep your unit running longer and more efficiently. You may even spend less on heating and air repair in McDonough, GA. 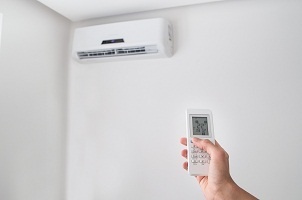 There are other things you can do to save money on your heating and cooling, such as scheduling regular maintenance on your HVAC system or upgrading the unit to a more energy-efficient model. These tips above should get you started and will apply whether you have a new unit or not.